Information circulating the internet suggests that the next generation Xbox code named 'Scarlett' could have a strong focus on game streaming. Industry analyst Michael Pachter says that Microsoft may want first movers advantage over Sony by launching the next Xbox as early as 2019. Game streaming is nothing new. We have a bunch of existing services like PlayStation Now, Shadow Cloud, GeForce Now, Gamefly and more. However, it isn’t as popular as say Netflix in the world of content streaming. Microsoft may be working on changing that with the next Xbox code named Project Scarlett. If information circulating the Internet is to be believed, then streaming could be a big focus for Microsoft’s upcoming Xbox console. Microsoft announced at E3 2018 that it was working on the next generation Xbox and that there would be more than one Xbox in the works. So, what does this mean for the future of gaming and Microsoft's Project Scarlett? Well to begin with, Microsoft could be working on addressing the biggest issue with game streaming – lag and stream quality with Project Scarlett. It is possible that the next gen Xbox could have some basic hardware that can download a small portion of the game like texture assets, etc. to offload some of the problems with streaming assets. By doing this, the game will not only run smoothly but also reduce input lag. It is possible that this console will be targeted at those that don’t want to spend $500 on a machine, but still want to play new games. It is also possible that the Xbox One S and One X will receive the streaming capabilities to keep the consoles relevant for a few more years, helping increase the base of Xbox players globally. Apart from streaming, Microsoft will launch a full-blown console as well to cater to those that want the best resolution and performance, just like the Xbox One X is for this generation. According to Thurrott, “The cloud console will have a limited amount of compute locally for specific tasks like controller input, image processing, and importantly, collision detection. 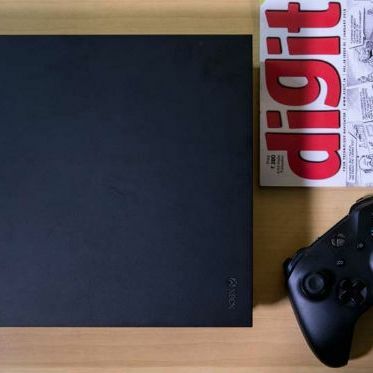 The downside of this is that it since more hardware is needed locally, it will raise the price of the streaming box but it will still cost significantly less than what we are accustomed to paying for a new-generation console which should help expand the platform’s reach”. Microsoft has played it smart by increasing its gaming portfolio on the Xbox with backwards compatibility. Services like Game Pass give players access to a large library of games without spending a lot of money. It is possible that these services will translate to the streaming Xbox in the future. There is also the question of bandwidth and speed consumption especially in a country like India where good broadband is a scarcity. Microsoft has said that they will showcase Xbox hardware at Gamescom 2018 but has denied that it will be the next console. It is possible that this could be new accessories for the Xbox One S and the Xbox One X. it could also be possible that Microsoft may showcase some details about game streaming. We recently had the opportunity to sit down and experience a mobile game streaming service called Hatch. A cool thing about Hatch is that it uses the smartphones GPU to help render the game to cater to the problem of lag. You can read more about Hatch here.